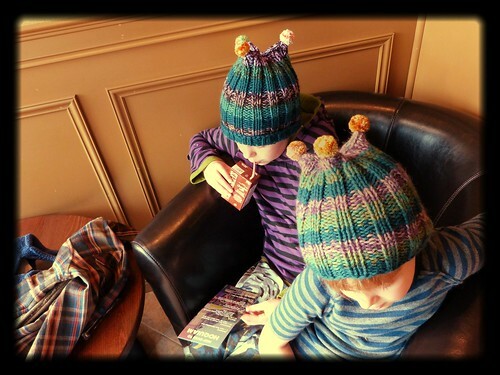 From the archives: two hand-knit hats. These have been stowed away for one year but it is time to bring them out! These are cleverly-constructed because the large ribbing means they will fit for many years. Below: on the left, Phoenix is wearing the larger hat with the brim folded up; on the right, Nels wears the smaller hat brim-down. Lots of wear in a wonderful piece! They will last decades. Hopefully passed from generation to generation! 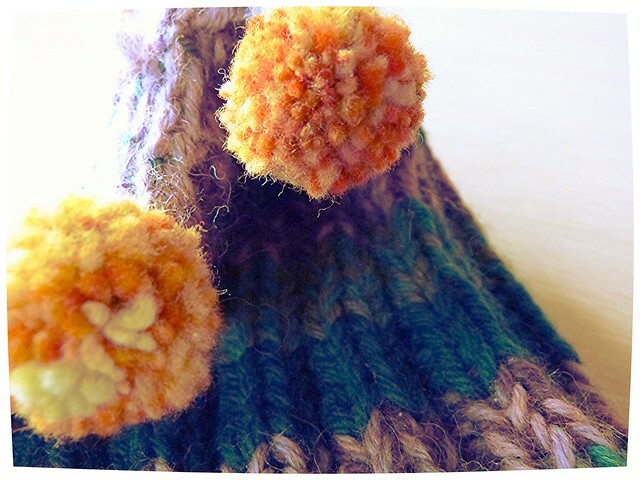 These lovely pieces were hand-knit using 100% wool. So please, wash carefully and block upon drying – no machine-washing or -drying! Comes with a (Phoenix-drawn) SASQUATCH papercraft card. Yeah, YOU HEARD! * If you didn’t already know where I lived, this listing would be a tip-off. After all, it’s SPRING, right? Why did I knit wool hats this time of year? Answer: because here in the Pacific Northwest we are in for about six more months’ worth of rain, I kid ye not. 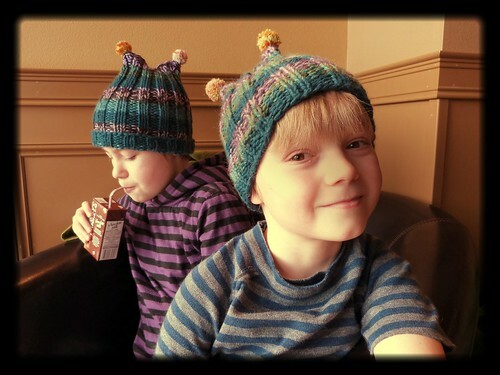 Posted in available	| Tagged Big Quinault Hat, hand-knit, knit, knitting, Lake Quinault collection, Little Quinault Hat, wool	| Comments Off on one year anniversary: Big Quinault & Little Quinault!